After finally figuring out that you should be on an anti-aging regimen, you now have to deal with the not-so-simple task of figuring out which anti-aging cream you should buy. Congratulations! You’re now more confused than ever — and, you’re not alone. Beyond product and manufacturer reputation, you should also consider your skin type and your specific aging skin concerns when choosing your cream. It doesn’t end there. You have to read and understand what’s written on the labels too. Despite how good and scientific their marketing pitches may sound, the US Food and Drug Administration (FDA) treats these products as cosmetics. That’s why you have to be wary of product claims. At the very least, the FDA has only recently been more aggressive towards warning manufacturers to back up their claims and check that their marketing is based on solid research. Most creams, including the premium priced ones, are made up of ingredients that cause your skin to feel soft and silky temporarily. Learn about what specific ingredients to look for and have a way of evaluating your anti aging products so you don’t get duped. While these products are commonly marketed to be capable of erasing signs of skin aging, the claims are largely unfounded and any corrective results, if any, are minimal. Use these for aging prevention. Long-term use of Vitamin A derivatives has been found to cause skin to become thinner and more photosensitive. That means, you should drastically limit your sun time when using these products too. 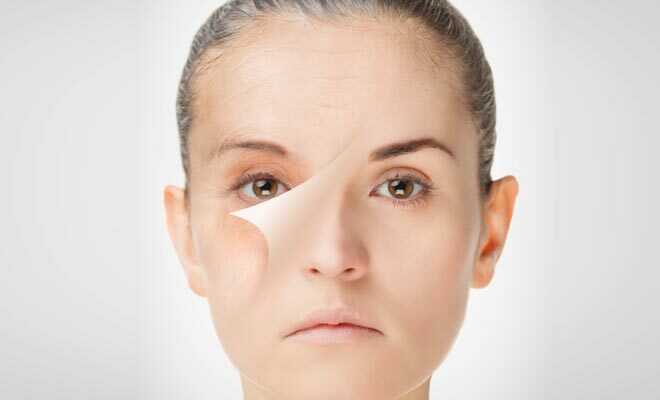 The best anti aging creams remain to be the ones that contain Vitamin A derivatives — tretinoins, retinoids, retinol and retinyls. These are the ingredients that pull up the price of a beauty bottle, and you want to make the most of your dollar by applying these only at night. That’s because these ingredients breakdown easily under sunlight. Research has shown that antioxidants that include a combination of Vitamin A, Vitamin C and Niacinamide may be viable alternatives to Vitamin A when it comes to treating aging skin. “Nature gives you the face you have at twenty; it is up to you to merit the face you have at fifty,” according to style icon, Coco Chanel. That means, how you allow your skin to age is entirely your responsibility — so, be responsible.